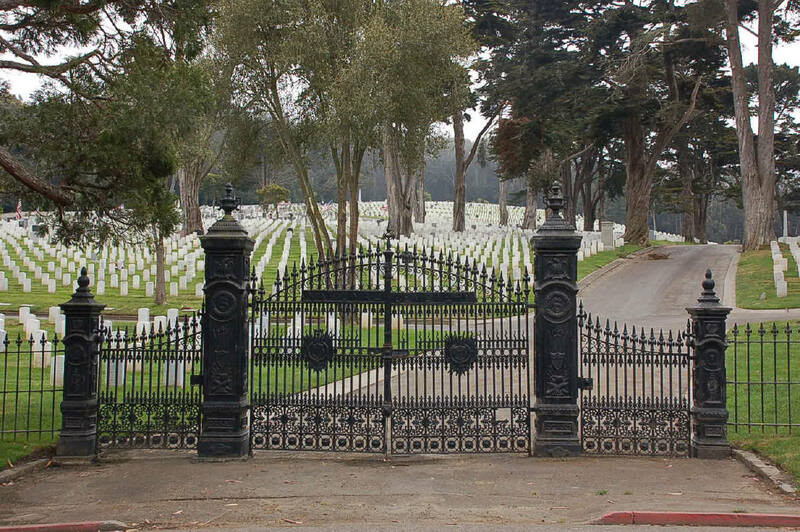 This hallowed ground, established December 12, 1884, by a general order signed by command of Lieutenant General Sheridan and Adjutant General R. C. Drum became the first West Coast cemetery to be part of the national cemetery system. The first interment was July 23, 1852 and it became a National Cemetery in 1884. This cemetery is closed to new interments.